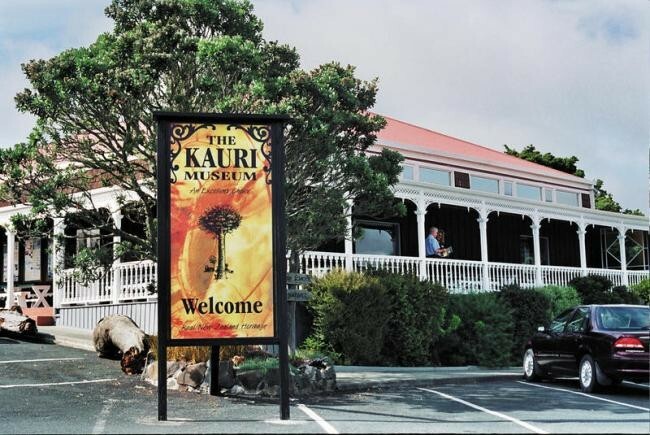 The Kauri Museum is located approximately 90 minutes drive north of Auckland, in the rural backdrop of Matakohe. With truly stunning collections The Kauri Museum offers something that is like no other, and will amaze all with galleries of lifelike scenes of pioneering life. With over 4500 sq metres of undercover exhibits The Kauri Museum is the largest undercover attraction in Northland, with the theme and focal point of the mighty kauri in mind. Displays which include the largest collection of kauri gum in the world, a fully furnished 1900s kauri house occupied with dressed models, the largest collection of kauri furniture in the world, a huge 22 metre long kauri slab and a magnificent collection of original photographs and pioneering memorabilia. The Kauri Museum give a fascinating insight into what life was like for our early pioneering settlers and shows through the galleries the demise of the mighty kauri tree, through the development of pioneering life. Daily complimentary tours at 2pm. Normal museum admission fee apply.